Selection by Design is a Dublin-based company that provides training in occupational testing, and consults with clients in developing and using tests for employment decisions. Selection by Design assists both individuals and businesses when choosing employees and building careers is a priority! Selection by Design, established by Chartered Psychologists Barbara Caska and Conor Mc Guckin, offers a fresh, Irish-based alternative in psychometric testing services. We’ve seen a growing interest in occupational testing among both students and those within or returning to the workforce. Selection by Design was developed to meet this need, and to allow individuals and organizations to make the most of what occupational testing has to offer. Barbara received her PhD in Psychology from the University at Albany, State University of New York, specialising in Industrial/Organizational psychology. She has over 25 years experience as a consultant, researcher, lecturer and statistical analyst within the USA and Ireland. 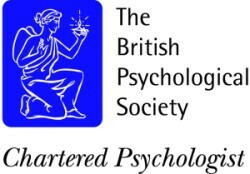 Barbara is a BPS Chartered Psychologist, qualified as a Verified Assessor in Occupational Testing and serves on the BPS Occupational Test Verifiers Committee. She is an Associate Fellow of the British Psychological Society, and a member of the Psychological Society of Ireland, American Psychological Association, American Psychological Society and Society for Industrial/Organizational Psychology. Barbara is also the Managing Director of Research by Design, an Irish-based statistics and research consulting company. Conor graduated with his PhD in Psychology from the University of Ulster, specialising in aggressive behavior and conflict problems among children and adults. Conor also holds a First Class Honors Degree in Occupational Psychology. Conor is a Chartered (British Psychological Society: CPsychol) and Registered (Psychological Society of Ireland: Reg. Psychol., Ps.S.I.) Psychologist, and is a Chartered Scientist (CSci) with The Science Council. Conor is also a Fellow of the International Society for Research on Aggression (FISRA), and an Associate Fellow of both The British Psychological Society (AFBPsS) and The Psychological Society of Ireland (A.F.Ps.S.I.). Conor is an established researcher with an international reputation in the area of school and workplace bullying. You can find out more about Conor’s present and prior professional career and credentials at Conor McGuckin.com.